There are 135 Assisted Living Facilities in the Pikesville area, with 7 in Pikesville and 128 nearby. The average cost of assisted living in Pikesville is $3,192 per month. This is lower than the national median of $3,346. Cheaper nearby regions include Gwynn Oak with an average starting cost of $1,650. To help you with your search, browse the 321 reviews below for assisted living facilities in Pikesville. On average, consumers rate assisted living in Pikesville 4.0 out of 5 stars. Better rated regions include Randallstown with an average rating of 5.0 out of 5 stars. Caring.com has helped 13 families in Pikesville find high-quality senior care. To speak with one of our Family Advisors about assisted living options and costs in Pikesville, call (855) 863-8283. Pikesville began life in 1695 when Fort Garrison was built to protect new settlers in Maryland. The fort still stands and the town is now a suburb of Baltimore that has grown to over 30,000 people. Pikesville has a large senior population with over 23 percent of residents aged 65 or over and seven assisted living facilities catering to them. 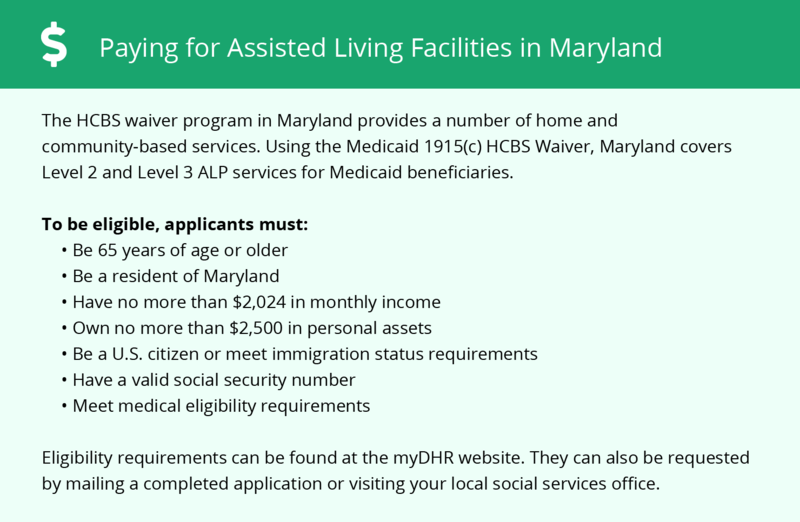 Another 55 facilities can be found in nearby communities, all overseen by the Maryland Department of Health, Assisted Living Unit. Licenses are available in three different levels based on the type of care provided. The air quality in Baltimore County, including Pikesville, is mixed. The State of the Air Report 2018 gives the county an F grade for ozone pollution, which may impact the health of seniors with respiratory conditions. However, particle pollution is low and receives an A grade in the report. Sperling's index rates Pikesville's overall cost of living at 128, compared to the national average of 100. This is impacted by the high cost of housing. Seniors can save money on day-to-day items including groceries and healthcare which cost less than the U.S. average. Pikesville has more crime than the national average, with an overall crime rate of 36 crimes per 1,000 residents. Around 90 percent of Maryland's other communities are safer than Pikesville, and safety-conscious seniors may feel more comfortable looking elsewhere in the state. The Pikesville area is home to world-class medical facilities, including Northwest Hospital, in the event of medical emergencies or illness. Public transport in Pikesville is provided by the Maryland Transit Authority (MTA). Seniors riders are eligible for reduced fares and may also be able to use MobilityLink, a door-to-door service for people unable to use the fixed-route system. Pikesville has opportunities for seniors to enjoy the arts and culture, such as seeing a show at the Gordon Center for Performing Arts. Some facilities may also organize group trips into Baltimore to see an exhibit at venues like the American Visionary Art Museum or see a performance by the Baltimore Symphony Orchestra. Assisted Living costs in Pikesville start around $3,192 per month on average, while the nationwide average cost of assisted living is $4,000 per month, according to the latest figures from Genworth’s Cost of Care Survey. It’s important to note that assisted living rates in Pikesville and the surrounding suburbs can vary widely based on factors such as location, the level of care needed, apartment size and the types of amenities offered at each community. 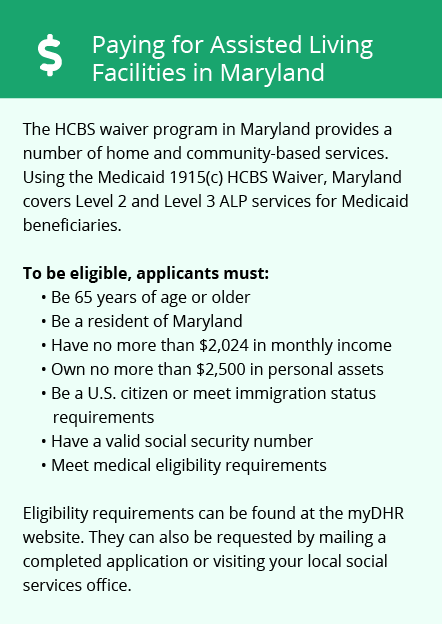 Seniors in Maryland who are eligible for Social Security payments, or who would be eligible except for income, may be able to access the Optional State Supplement. Additionally, residents of small assisted living facilities may be eligible for financial assistance through the state's Senior Assisted Living Group Home Subsidy. Pikesville and the surrounding area are home to numerous government agencies and non-profit organizations offering help for seniors searching for or currently residing in an assisted living community. These organizations can also provide assistance in a number of other eldercare services such as geriatric care management, elder law advice, estate planning, finding home care and health and wellness programs. To see a list of free assisted living resources in Pikesville, please visit our Assisted Living in Maryland page. Pikesville-area assisted living communities must adhere to the comprehensive set of state laws and regulations that all assisted living communities in Maryland are required to follow. Visit our Assisted Living in Maryland page for more information about these laws.